The Texas Supreme Court recently ruled in favor of homeschooling parents that wouldn’t educate their kids because they believed the end of the world was imminent. So what is required of homeschooling parents? Homeschoolers get a lot of flexibility in their curriculums. 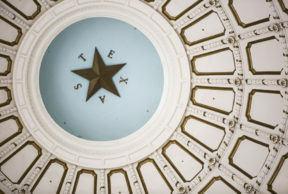 Should homeschooling in Texas involve actual schooling? What if you believe that the Holy Rapture is imminent? In a ruling by the Texas Supreme Court a few days ago, justices sided with an El Paso family accused of keeping their nine kids at home, but failing to teach them anything. A relative filed the initial complaint, alleging that the parents believed the impending end of the world would make education irrelevant. Patrice Holden Werner, an associate dean at Texas State University, says that there aren’t strict requirements for homeschool curriculums. While public schools face strict standards and regulations from the state, private and homeschool programs have a lot of latitude. Technically, the state requires coursework in math, science, spelling, and reading but lesson plans can be quite lax. Werner says curriculum stipulations are little more than “a sentence” each, telling parents that certain topics must be taught, but not how they must be taught. To comply, parents write a letter saying that they will teach those things. “Parents can write a letter of intent that says ‘I intend to homeschool my children in a way that includes these things’ …. (but) there’s no testing or any kind of oversight of that,” Werner says. Though the El Paso family’s choices made headlines, Werner says it’s unfair to characterize parents who homeschool as people trying to avoid educating their children.